This page will show through a timeline how our products were developed with more text pictures to be added. 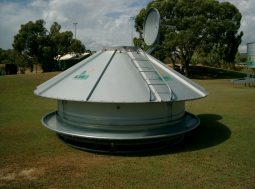 Our newest innovation is our ‘Wide Mouth’ field bins that will be shown for the first time at Wagin Woolorama. With an opening of nearly 3 metres wide to make filling easier and increase usable capacity. 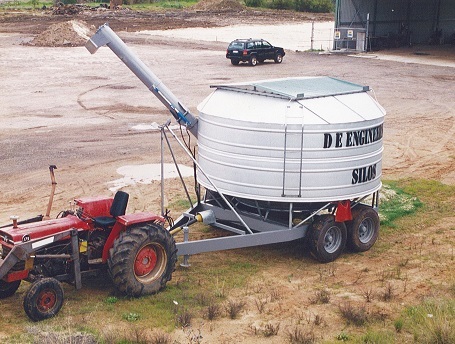 Back in the 90’s all field bins used a crank lever to lift off the ground for transport. These were extremely dangerous because the handle generated speed as the bin was lowered so we developed a lift that was less dangerous because the cam has a constant force while lowering. nb/ Care still has to be taken to make sure the handle doesn’t slip from your grasp. 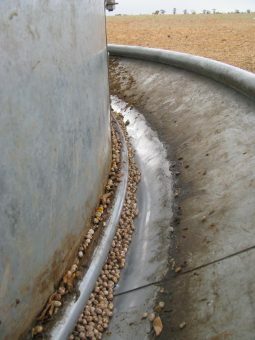 In 2006 we added a spring which became the first ever self lifting field bins. 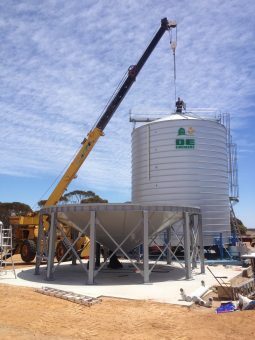 Easy lift Field bin hitches. 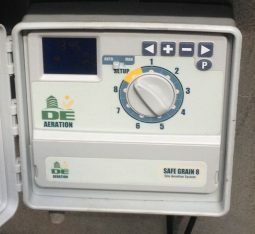 In 2000 I was asked to develop a seed cleaner for on farm use and was told by 2 Beverley farmers that it must keep up with a header but not cost $80,000 as were the machines made at the time. So after being dragged across paddocks to see some existing & home made cleaners DE Engineers took up the task. 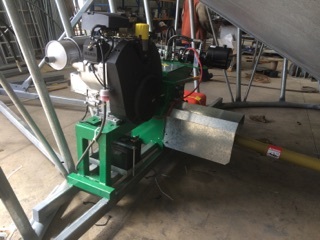 We are now the largest seed cleaning manufacturer in Australia, with cleaners able to clean seed & “scalp” larger trash off in one operation faster and at a fraction of the cost of other machines. 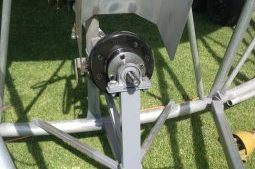 The seedcleaner also won the Farm Innovation award at Dowerin and Best New Invention and New Release awards at Newdegate field days. 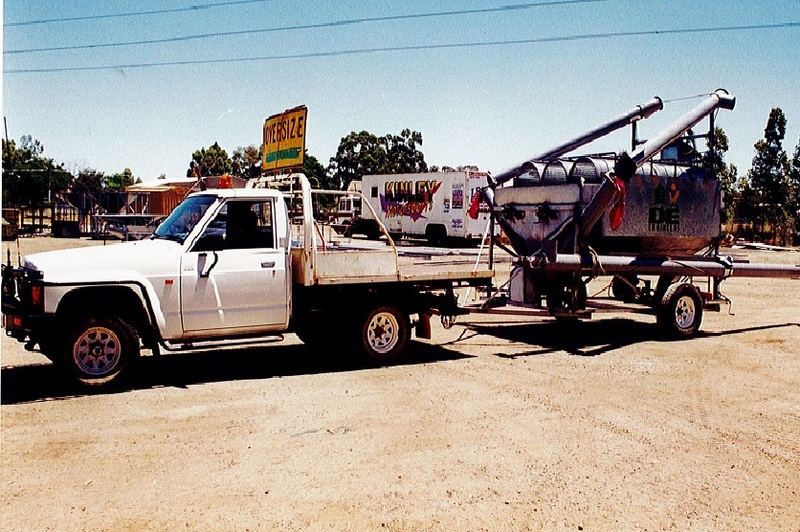 When a customer told me at a Newdegate Field Day that he had two of our field bins and wanted to know how he could hook them in tandem so he could store 60t, tow and and operate with one tractor? 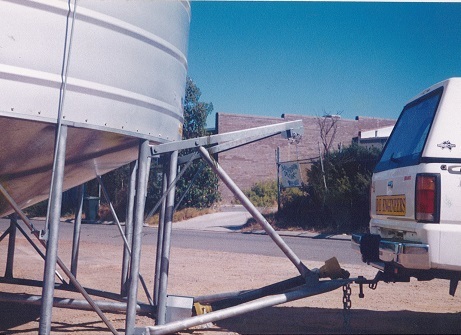 The idea was born and the following year we built our first Twin Tow field bins of which we sell around 20 each year. 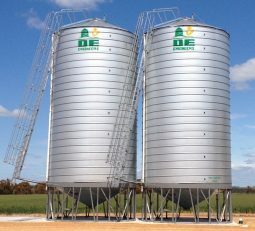 Spiral silos won the New Invention and New Release awards at the Newdegate field days. 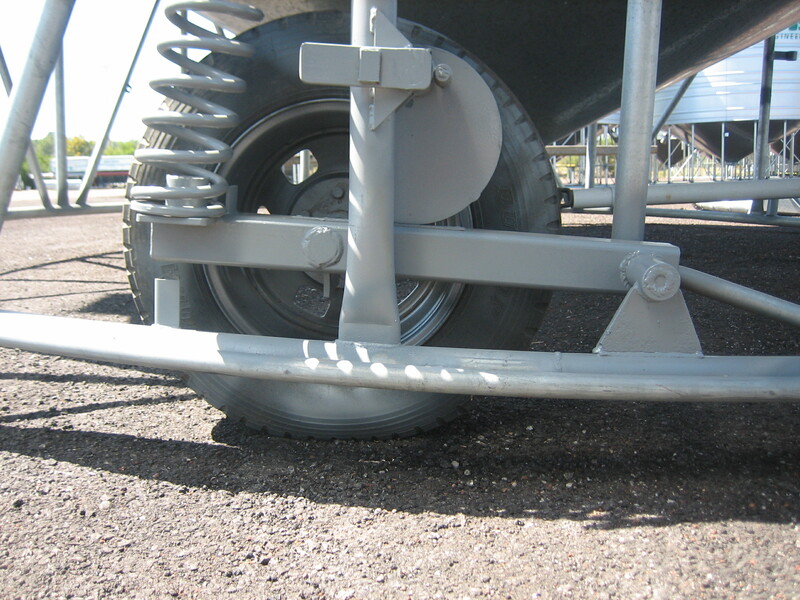 In 2002 we added an adjustable ring to our range of self feeders for sheep because the feeds gap on all round feeders could not be easily adjusted as the entire body (often full of feed) needed to be raised to do so. Years later in 2013 we changed the feed tray to make a ‘lick style’ feeder with a ‘vee’ shaped gap and a feed tray that slopes up not down.